A fascinating image of a Native American man making a totem pole in Washington State. 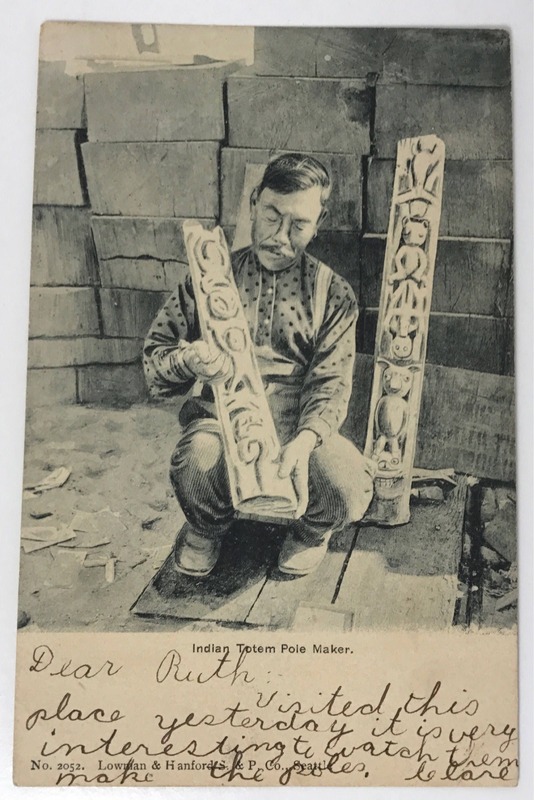 It reads: "Indian Totem Pole Maker" and was published by Lowman & Hanford S & P Co., Seattle. It is no. 2052. 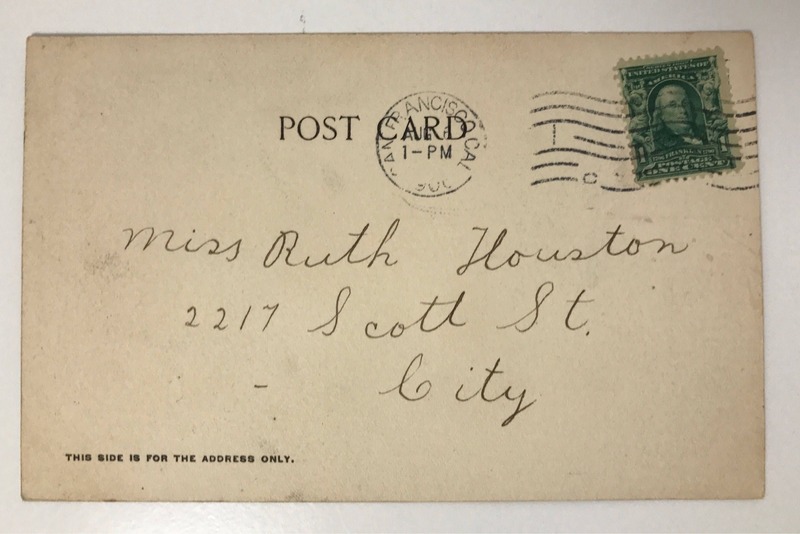 This is an undivided back card, with writing on it and stamp and postmark. CONDITION: Excellent condition for a used card, with no discernible bumping/chipping, and only light tanning.